But really, it’s the small things that add up to help accomplish the big things. And think about it – if you can touch the life of one homeless pet, then that individual pet’s life will be better because of you – and that means everything to that one pet! So, why not start helping shelter pets today? And if you already do, wonderful! 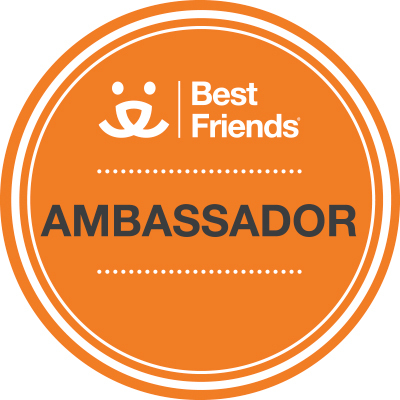 Grab a badge below, share it proudly, and say you helped a shelter pet! Just maybe, it will inspire someone else to do the same. Here are a few ideas to get you started. Do you already do any of these? 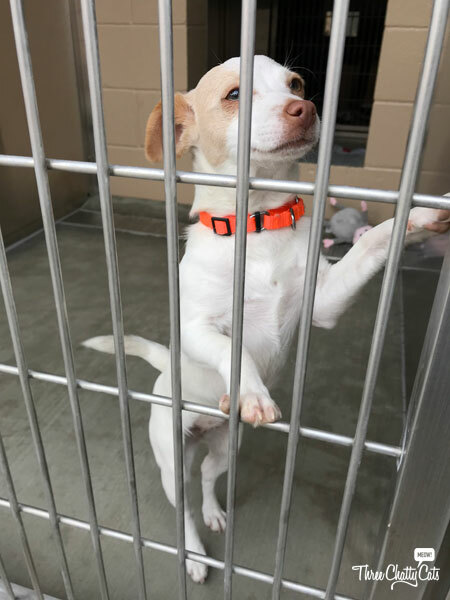 What are some other ideas to help shelter pets? I know you have them. We all do. That errant towel that doesn’t match your new set. Or the old blanket that no longer goes with your bedroom curtains. Shelter dogs and cats should be comfortable while waiting for their forever homes. So, let them be comfortable on your old belongings! It’s a free and super easy way to help! We see it all the time around the holidays – food drives for the homeless or less fortunate. What about hosting a food drive for pet food? Perhaps you can partner with your local vet and ask them if you can place a box in their waiting room. Or maybe the lobby in your office is the perfect place to collect cans of wet food. What about your kid’s classroom? We all know the world is full of animal lovers. Asking a co-worker or friend to drop one or two cans from their own stock isn’t too much to ask. And if a lot of people participate, it can add up to a pretty nice amount to donate to your local shelter. Social media is a powerful tool. About once a week, I see someone holding a fundraiser for a shelter, rescue or other good cause on Facebook. Perhaps it’s your birthday and you’d like to celebrate by raising donations for the shelter you adopted your best friend from. Facebook has made it easy to start a fundraiser. ***Remember to always research the person hosting and the organization selected! If you have the time, you should consider volunteering at your local animal shelter or with a rescue group in your area. Perhaps they need someone to scoop litter and change out bedding (someone’s gotta do it!). Or maybe the shelter is simply looking for an enrichment volunteer who can spend time cuddling their cats or walking their dogs. If you have a couple hours to spare once or twice a month, why not sign up? Also, do you have a special skill that a shelter or rescue group could benefit from? Perhaps you’re a graphic designer or developer and can lend your expertise to creating a website. Maybe you’re a photographer and can take photos once a month at the shelter. 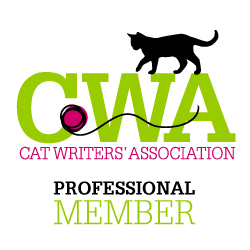 High-quality images and videos will help a potential adopter see the true beauty of a cat or dog. Or maybe you have great computer skills and can assist with admin work – maybe even from the comfort of your own couch! Okay, so not everyone has the time or space to devote to fostering. And this one may not exactly fall into the “easy” category. But fostering is definitely worth considering, as it directly benefits that dog or cat by getting them out of the shelter environment. And if you can’t foster full-time, some organizations need weekend or temporary fosters, which would be a way to test the fostering waters…an easier start, if you will. Former foster Emily Jane (now Emmie) loved being out of the shelter! 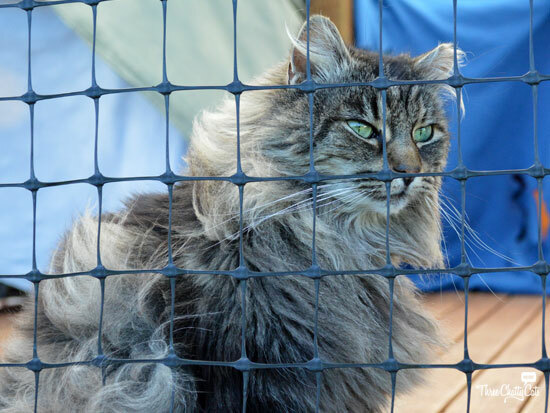 You may be wondering how trap-neuter-return activities could help benefit shelter cats. Well, it’s simple. 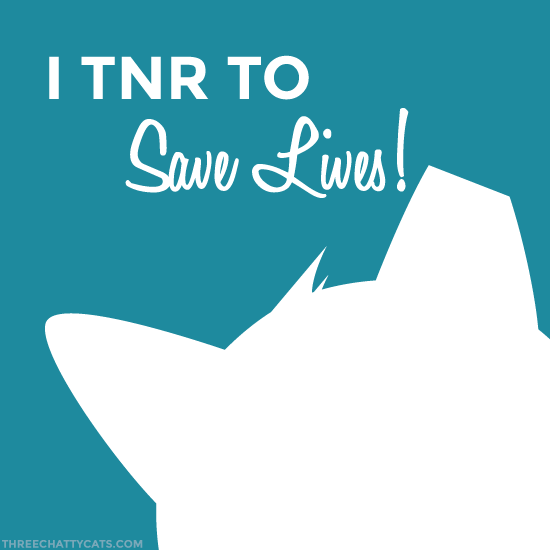 TNR means that you trap a feral cat, neuter it so it won’t add to the overpopulation problem, and then return it to its habitat. They won’t end up in the shelter, and shelters won’t fill up as quickly. 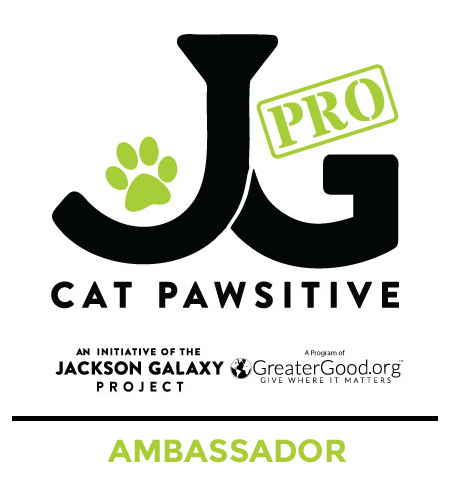 The goal is to prevent cats from entering the shelter in the first place, and TNR helps accomplish this. Remember, TNR is for feral cats. 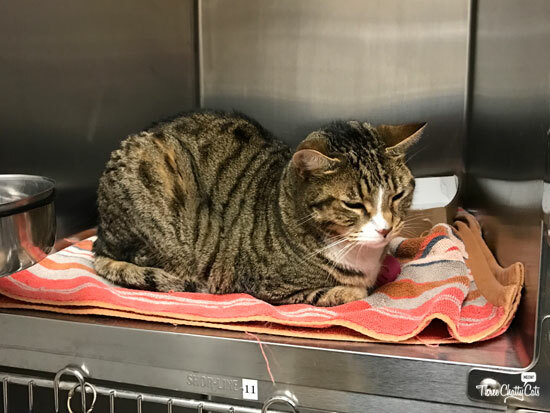 A feral cat who does enter the shelter will likely be deemed unadoptable and may be put down. A beautiful ear-tipped cat. The tip is the sign they have been TNR’d. When you’re ready to add a furry friend to your home, one of the best ways to help shelter pets is by adopting from a shelter or rescue. Please don’t shop for a pet. There are so many loving shelter animals waiting for their forever homes right now. They come in all ages, shapes and sizes. If you’re looking for a specific breed, don’t count out a shelter pet! Many full breed pets end up in shelters or with breed-specific rescues. Stop by your local shelter, visit their adoption webpage or use something like petfinder.org. 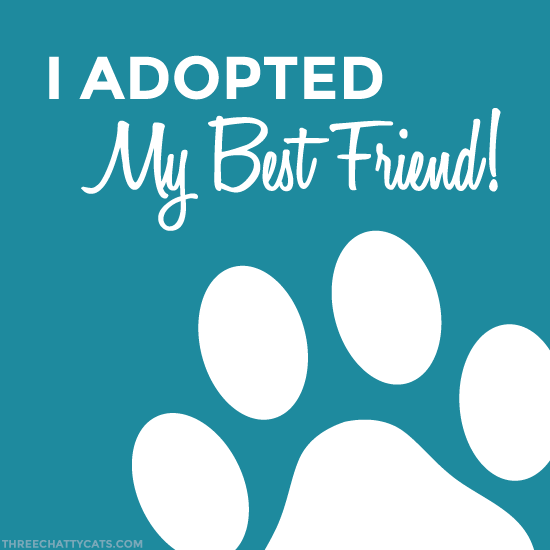 Searching for and adopting a pet has never been easier! 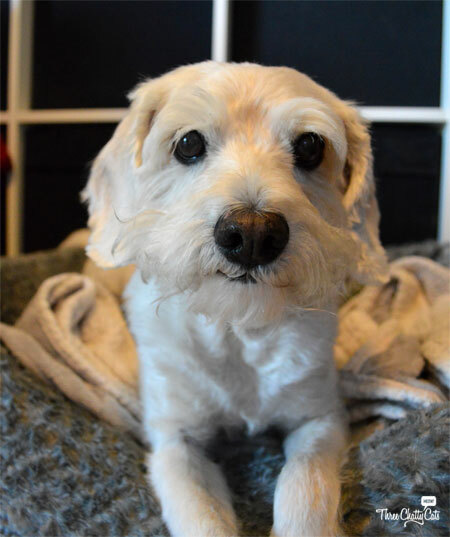 Our dog Eddie is happy we adopted him 15 years ago! There are many other ways you can help shelter cats and dogs. These are just a few ideas to get you started. If you truly care about shelter pets and helping to make their lives better, anything you can do is a start, no matter how small or large the commitment. Every action counts…and these kittens will thank you! 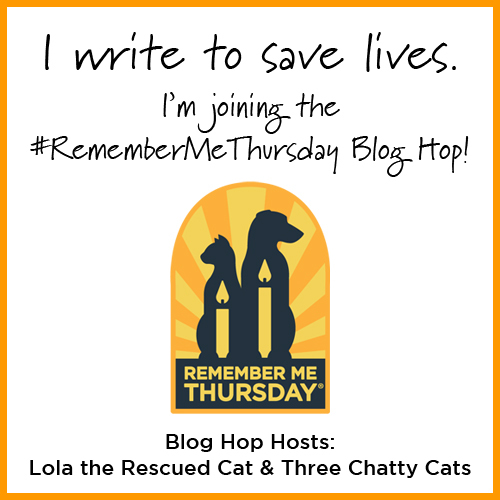 Previous Chatty Cats: Plans, Goals and More! Next Chatty Cats: Lizards, Spaceships and More! 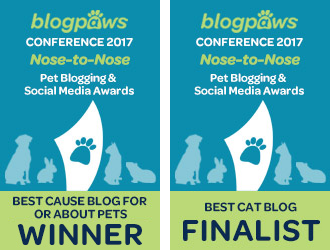 Pawtastic ideas!! 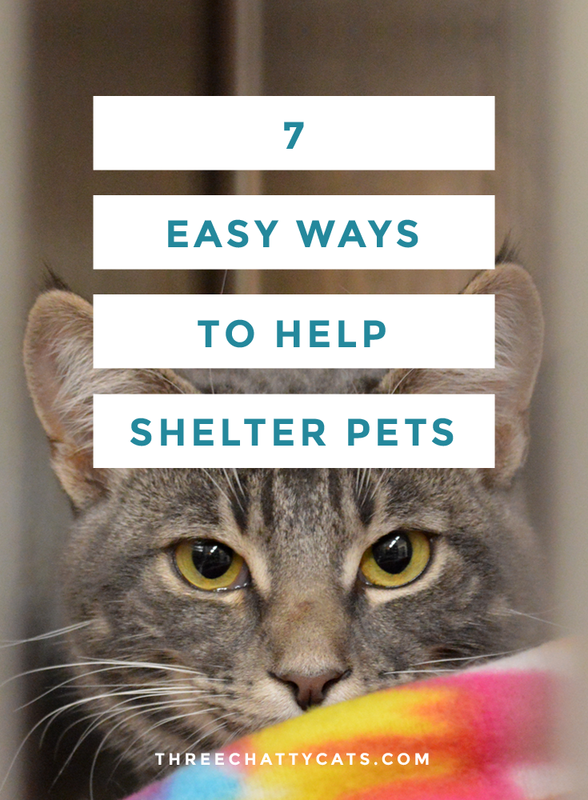 People don’t realize there are SO many ways to help shelter pets. We love your badges. Every little bit helps at shelters……….I know people who just will stop by and VISIT the animals there – just some human interactions can be SO much. These are all pawesome suggestions! I have done many of them but I love the donate your special talent and the pet food drive (many of the others I have done)…….these are all great tips though for when we want to do more and might be at a loss for WHAT to do. Am currently working with our local low cost spay/neuter clinic for their fundraiser later that month, and I support every project that they have going! Fostering is in my future too, when my office moves back closer to home or when I retire. Pawsome post with pawsome ideas. Do you know TW buys new towels and sheets more often than we need them so she can donate the older ones to a shelter or cat sanctuary? 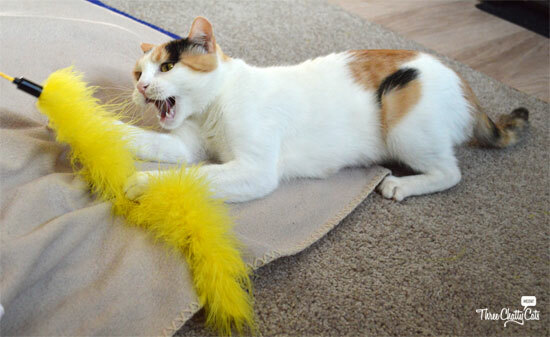 They also need rugs so they can make DIY scratching posts and lots of detergent. We’ve been sending Call 4 Paws and PAWS lots of stuff in past years and this year we had our first online fundraiser for our TNR. It feels so good to help. Awesome post! We are proud to be doing most of the things on your list and we agree completely. All these things, each individual one, makes a huge difference. Thank for your sharing this! Great list, there is something on there for everyone. 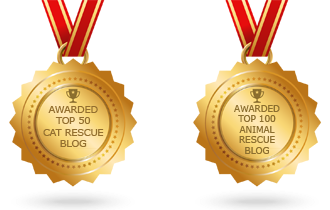 Wonderful ways all and we do always try to do our part to help those critters that need it. 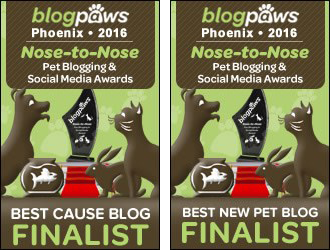 This is such a pawsome post!!! I just read in the paper yesterday that my local grocery store is hosting a pet food drive so I’m going to be busy gathering up some of the product we’ve received from Chewy that Mudpie isn’t crazy about to donate…which will end up being a pretty good haul! The mom volunteers at one of our local shelters. She says it’s very gratifying. Those are some great ideas. 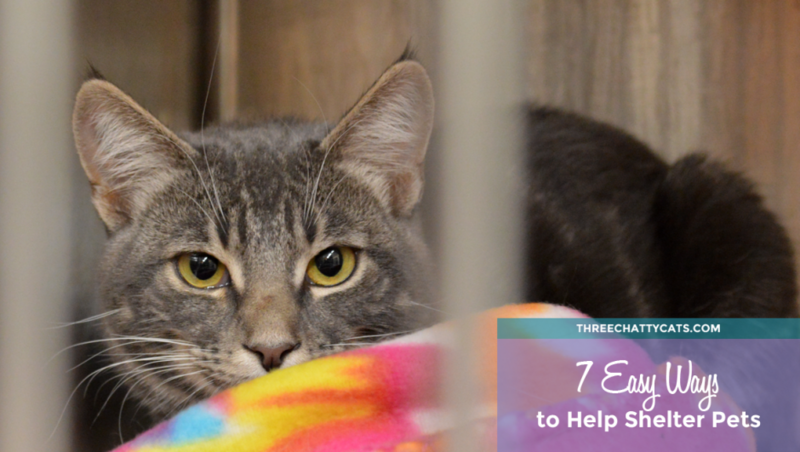 You can also share adoptable cats on social media. These are all excellent ideas! At the shelter where I volunteered, they went through a TON of blankets everyday since they changed them out and laundered them regularly. I never knew about the old towels part! I’ve got a TON of torn up towels. For most rescue groups in the area, I’ve found it really hard to find one that accepts food donations (they have exclusive deals with brands). Then I found a local food pantry for people with pets … what an awesome organization!